Junior Mack is a New Jersey native, self taught, he has been playing guitar since the age of nine. Influenced by Duane Allman, Dickey Betts, Jan Akkerman, and Wes Montgomery, he deftly displays these influences, although the foundation of his playing lies in the soulfulness of Gospel and Blues. Vocally, his influences are all Gospel, The Soul Stirrers, with Sam Cooke, and Paul Foster, The Sensational Nightingales, with Reverend Julius Cheeks initially provided the vehicle for Juniors delivery. Later on he discovered Greg Allman and now they are all wrapped up into Junior Mack. An opportunity to play for the late Pops Staples and the encouraging reaction from both Pops and Mavis Staples was the first in a chain of events that drove Junior to present his interpretation of the Blues to a wider audience. 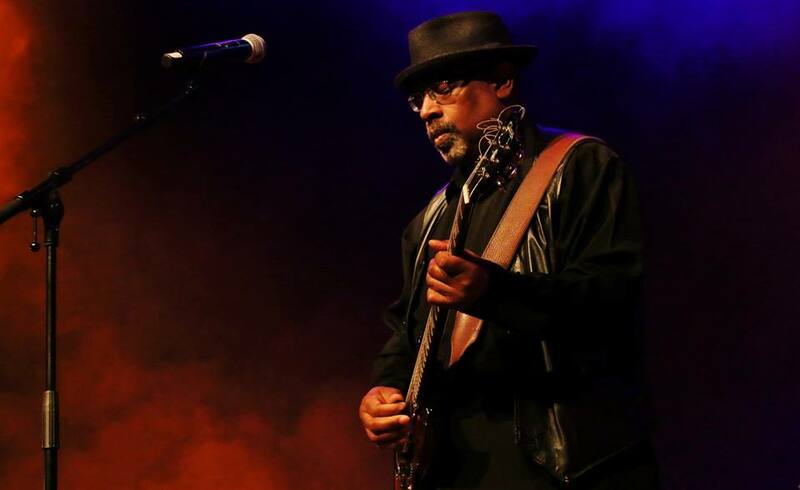 Junior is a memeber of the Jaimoe Jasssz Band since 2006 and has sat in or worked with The Allman Brothers Band, Warren Haynes, Gov’t Mule, Derek Trucks, Robert Randolph, Dickey Betts, Honeyboy Edwards and Cyndi Lauper to name a few. Junior has also recorded an excellent CD, Live Adventures.